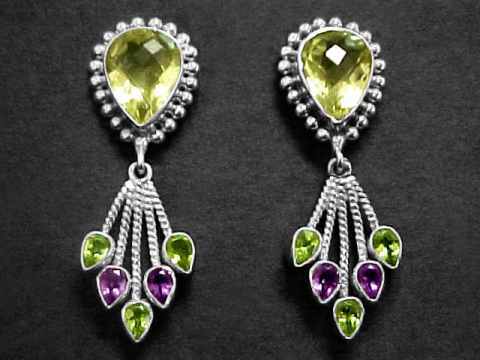 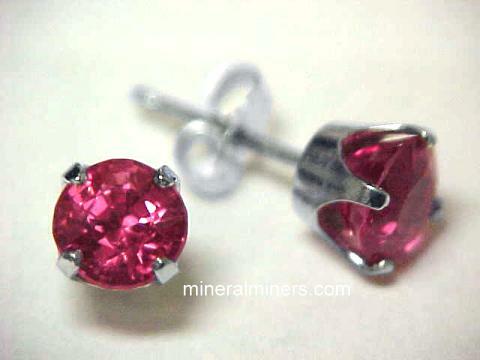 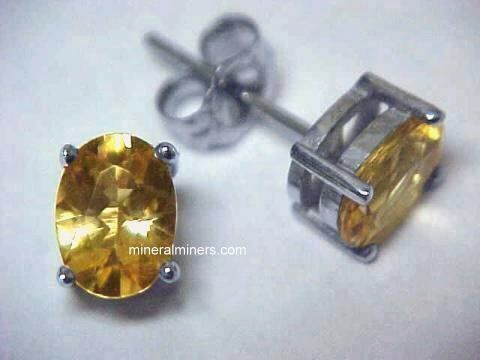 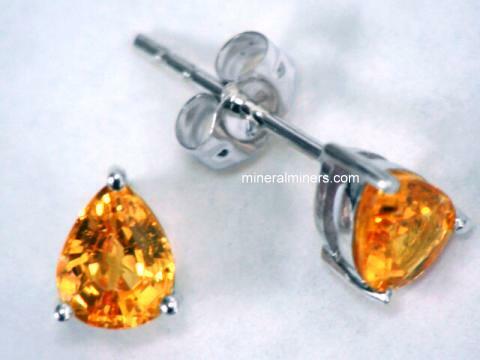 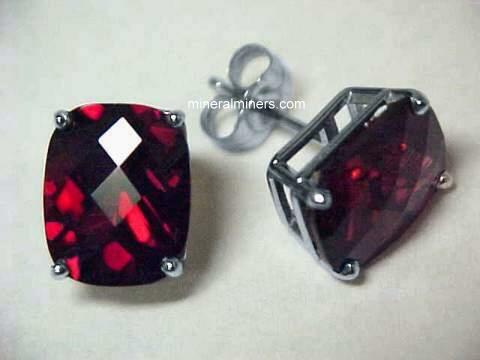 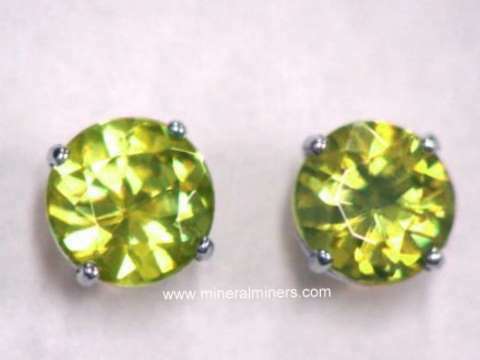 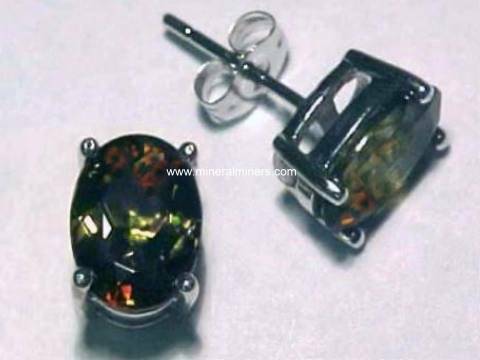 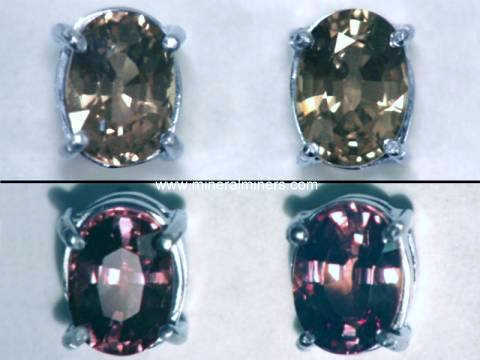 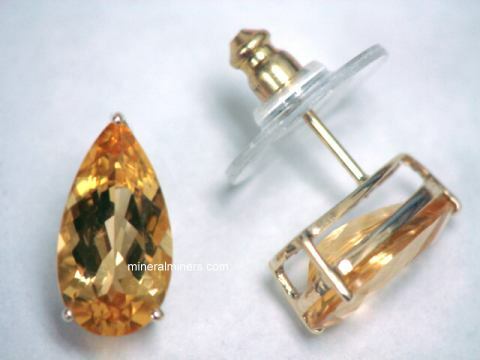 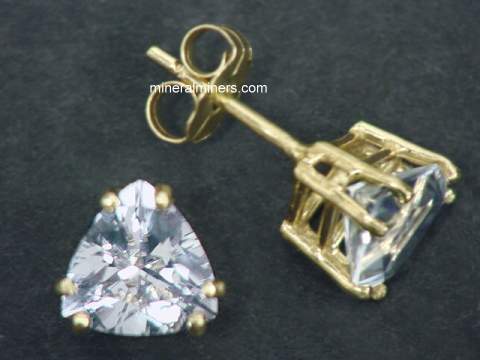 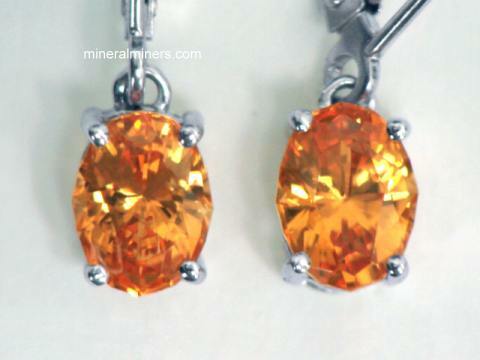 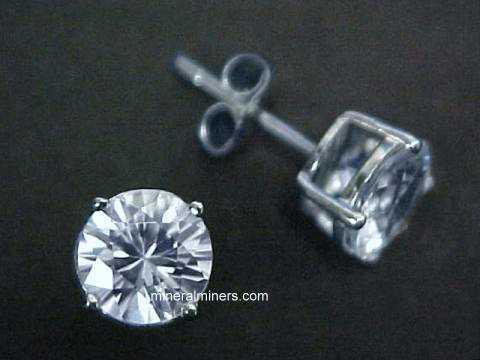 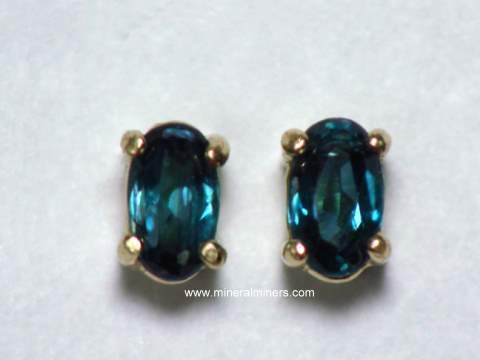 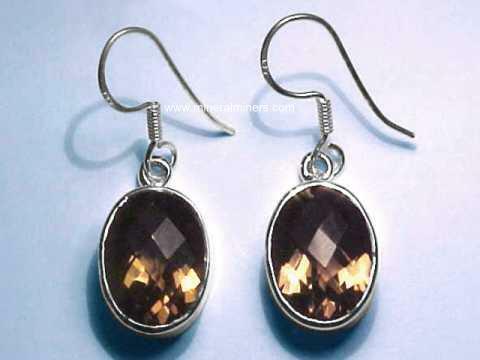 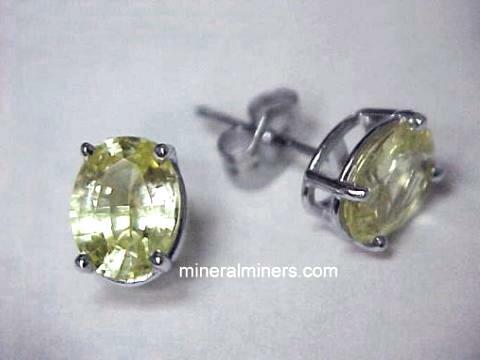 Try our Satisfaction Guarantee - compare our prices and the quality of our 14k Gold Gemstone Earrings. 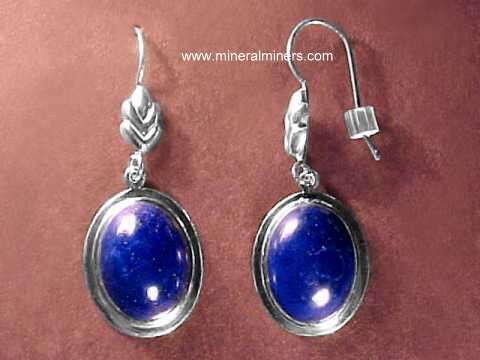 Click on the image at left to enter directly into our Virtual Gallery of 14k gold gemstone earrings for all minerals, complete with images, descriptions and secure SSL on-line ordering. 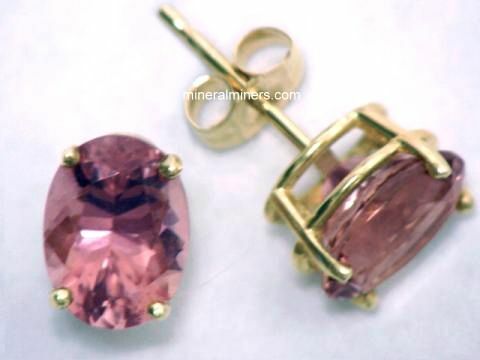 This page will take much longer to finish loading as it contains all of our on-line selection of 14k gold earrings for all of the natural gem varieties! 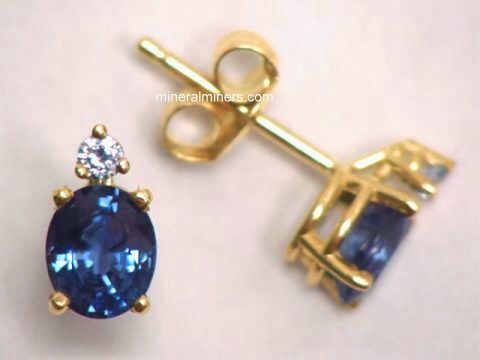 These 14k gold gemstone earrings are sold and replaced on a daily basis, so do come back often! 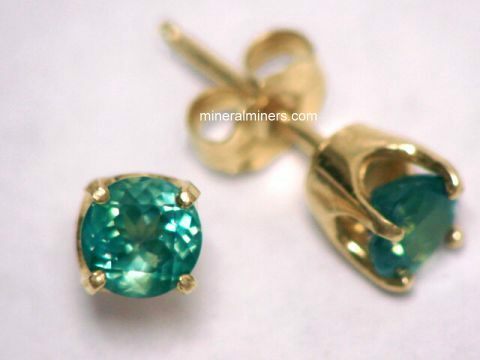 Our 14k gold gemstone earrings and jewelry items are set with gemstones crafted from all natural gem materials. 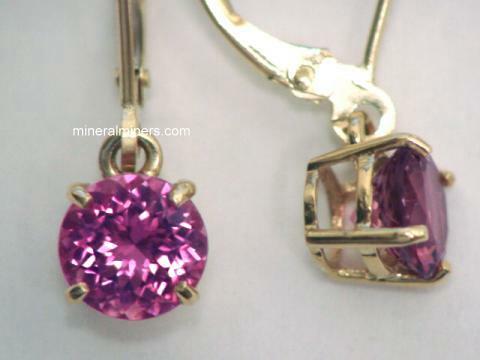 We have separate pages displaying rounded gemstone bead necklaces and a very large selection of superior quality hand-ground & polished faceted gemstone bead necklaces. 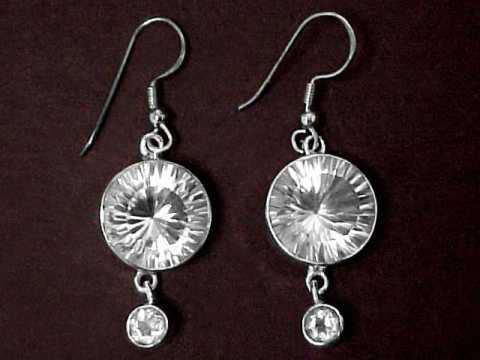 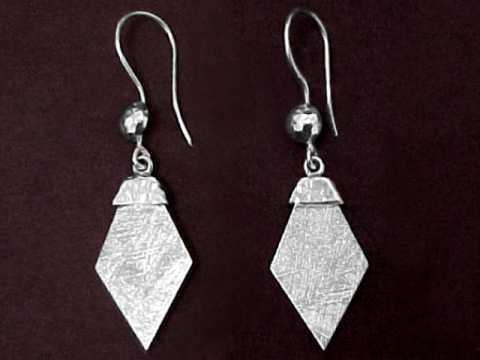 See our handcrafted earrings in 14k Gold & Sterling Silver, available in leverbacks, studs and dangle earring styles. 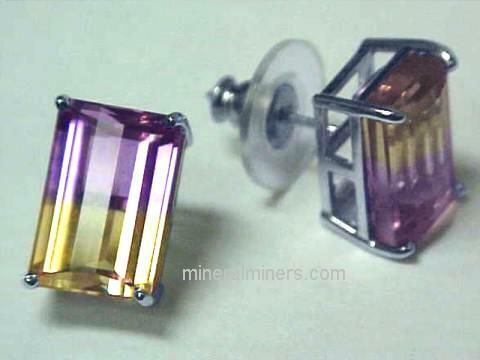 We have in stock 14k gold earrings available in many different natural gem materials including almandine, amethyst, ametrine, aquamarine earrings, blue tourmaline, emerald earrings, hessonite garnet, green tourmaline earrings, indicolite, heliodor, morganite, mandarin garnet earrings, peridot earrings, rhodolite garnet, ruby earrings, pink sapphire earrings, blue sapphire earrings, yellow sapphire, green sapphire, star sapphire, zoisite (tanzanite earrings) and pink tourmaline! 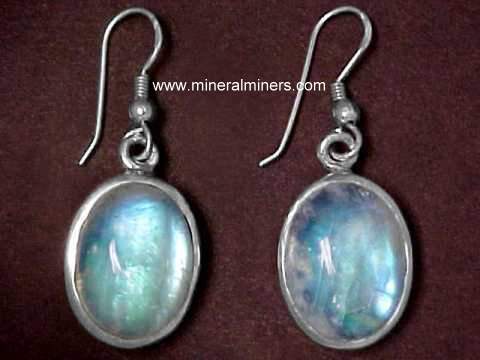 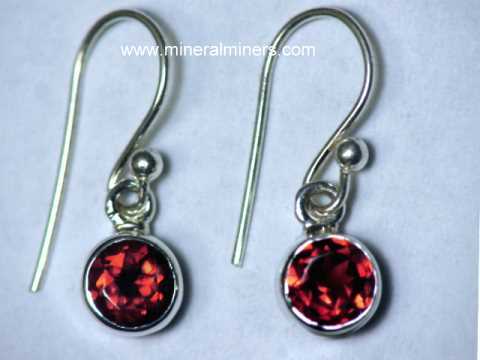 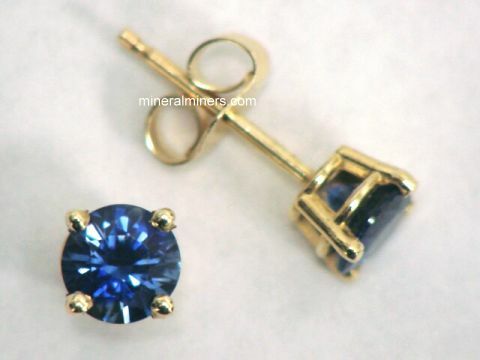 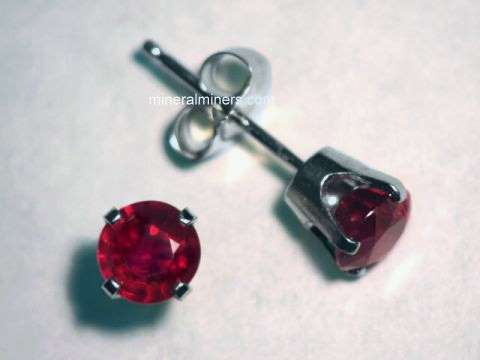 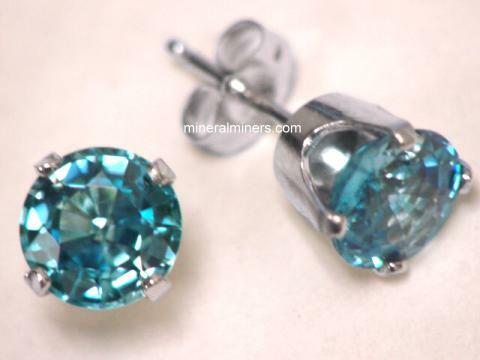 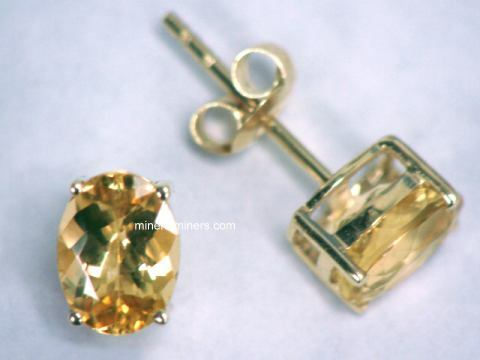 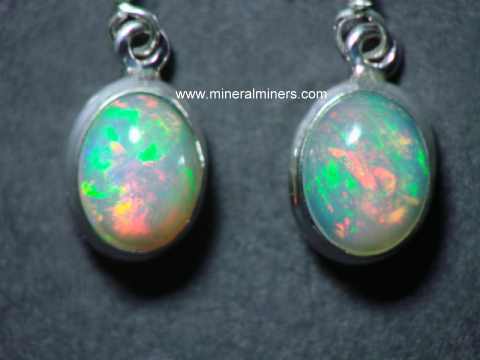 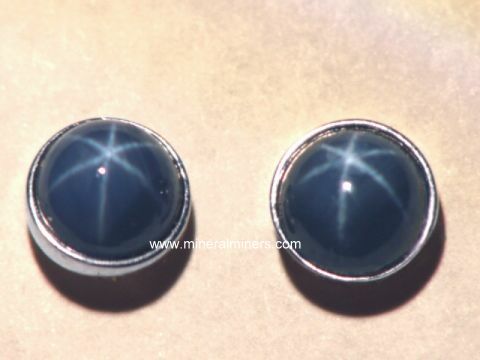 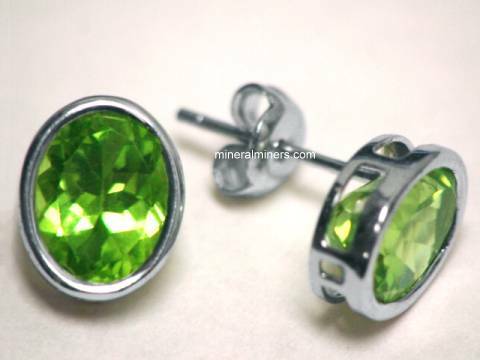 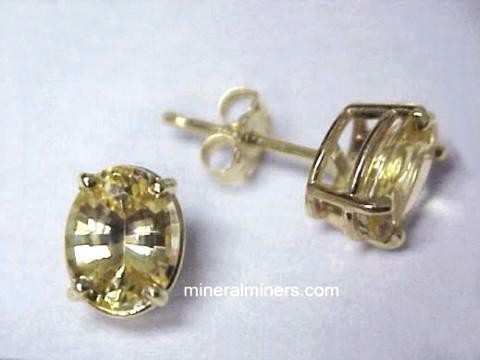 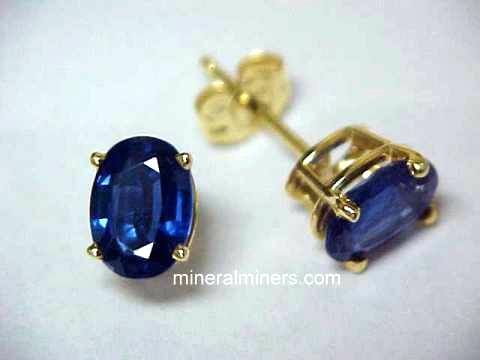 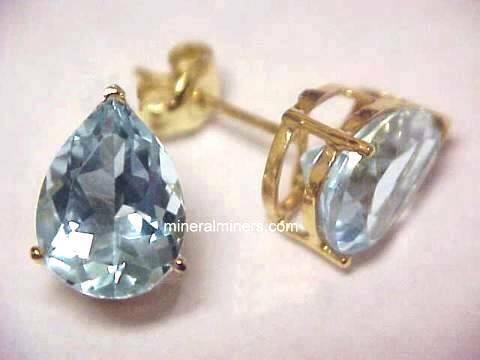 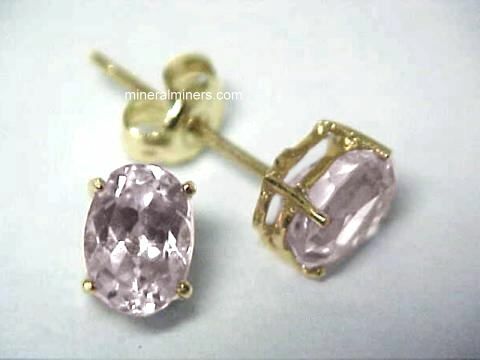 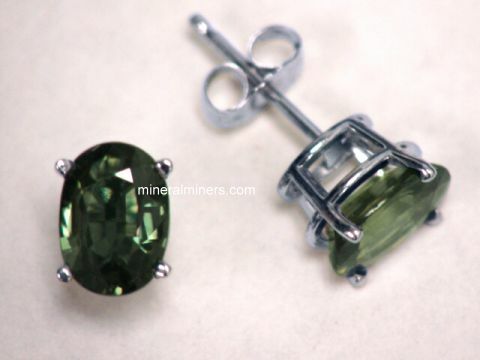 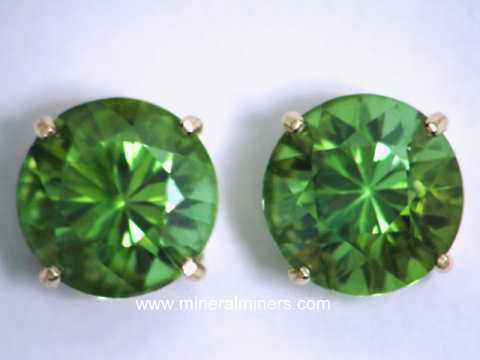 To see 14k gold earrings and other birthstone jewelry gift items for a particular mineral variety, just select one of the natural gemstone earrings links shown below, or you can visit our Jewelry Index. 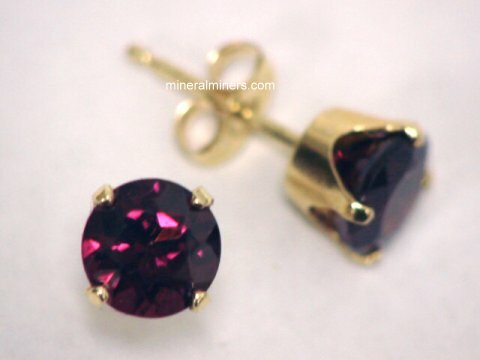 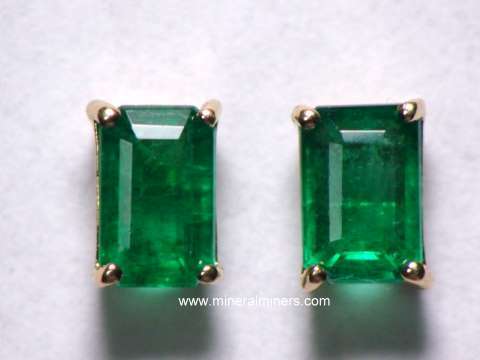 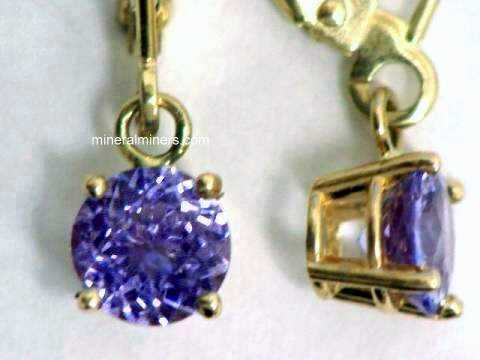 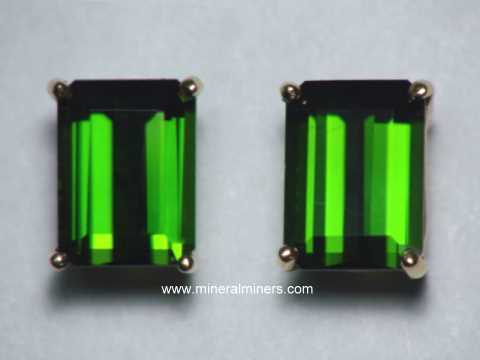 Would you like us to inform you when we add more natural gemstone earrings in 14k gold on this page? 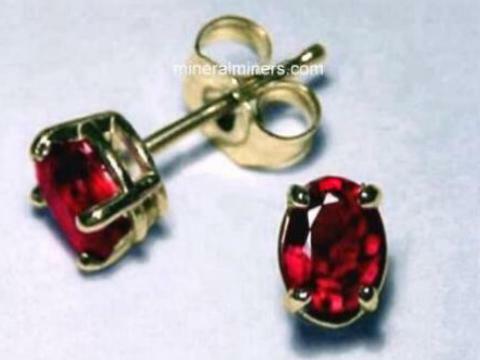 We have a very large selection of natural gemstone 14k gold stud earrings in stock, so be sure to let us know if you have any 14k gold gemstone earrings requests. 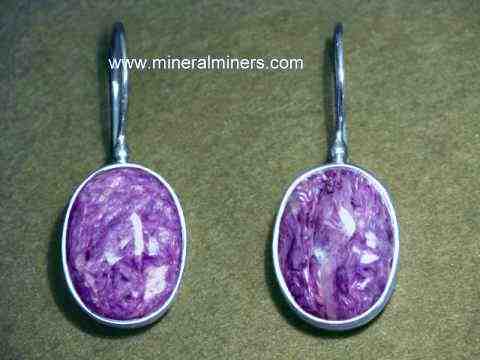 See also our pages on crystals, mineral spheres & mineral eggs. 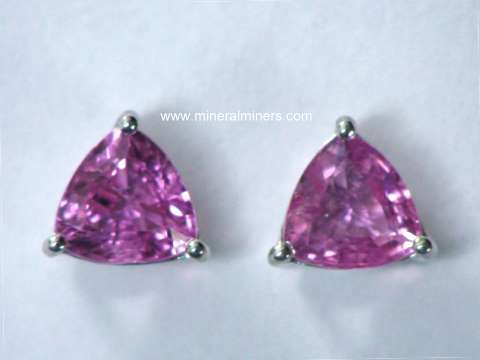 We have a very extensive collection of superior grade mineral specimens. 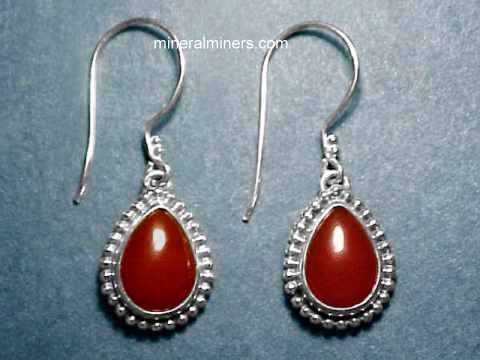 We offer a very large selection of natural gemstone jewelry designs. 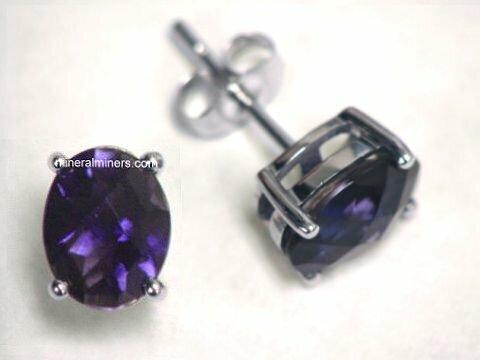 We have both sterling silver and 14k gold earrings and unique bracelets, each one handcrafted and set with all natural and untreated gemstones, and also a huge variety of handcrafted genuine gemstone bead necklaces and one-of-a-kind rings in 14k gold. 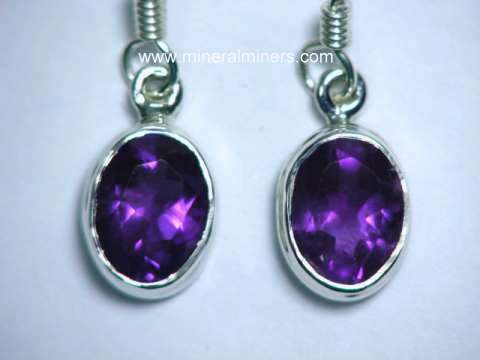 We also have another page that displays collector quality decorator minerals and crystals. 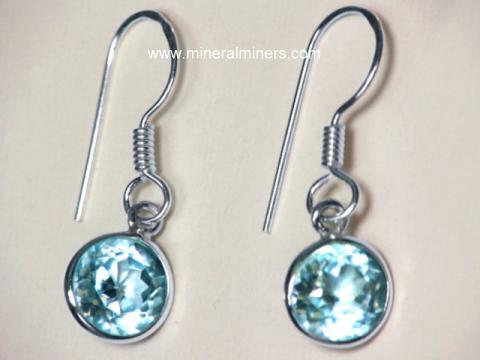 See our handcrafted mineral gifts, and our spectacular assortment of decorator minerals and rare collector crystals.